The MVO Platform is a network of civil society organisations and trade unions which are active in the area of responsible business conduct, corporate accountability and Corporate Social Responsibility (CSR). The MVO Platform was founded in 2002 to improve and strengthen cooperation between civil society organisations and to present a common voice in the political arena. 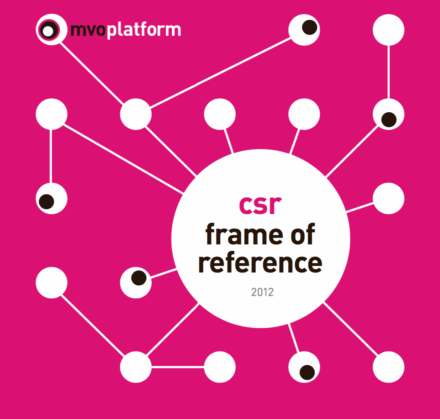 In addition, the MVO Platform addresses the corporate sector itself through the CSR Frame of Reference. Click here for an overview of all participating organisations. The MVO Platform believes that businesses should operate in a responsible, accountable and transparent manner and that states have a big responsibility to ensure this. The MVO Platform envisions government policies that ambitiously encourage responsible corporate behaviour while holding companies that fail to do so to account. Members of the Platform increase their influence over companies, both individually and collectively. The MVO Platform encourages the exchange of information and knowledge development through meetings, thematic working groups and organising workshops. The Platform’s vision and positions are conveyed e.g. in dialogues with companies and organisations, and in debates organised by the MVO Platform. The Dutch government plays a strong role, also in the international context, by encouraging ambitious corporate responsibility policies, while also enforcing corporate accountability through regulation. The MVO Platform is also a founding member of the European Coalition for Corporate Justice (ECCJ). ECCJ is a European coalition of over 250 organisations from 15 countries working on corporate accountability. Through ECCJ, the MVO Platform undertakes policy influencing activities at the EU level. More information can be found on the ECCJ website.